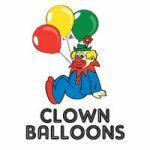 Bonnie Doon Golf Club Junior Development Program. The main goal of the Junior Development Program is to introduce new participants to the game of golf, and to give those juniors who demonstrate the desire and drive to excel as much support as they need to reach their goals. 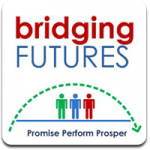 You can make your commitment to the BDGC Junior Development Program by clicking”Add Item”below on the right hand description side.It will then be approved and an invoice willbe sent by email. Any questions regarding the Business Directory should be directed to General Manager Richard Hogg at richard@bdgc.com.au. We sell trading software developed for and by active traders. 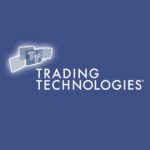 Trading Technologies International, Inc. (TT) develops high-performance trading software for derivatives professionals, including the world’s premier investment banks, brokers, Futures Commission Merchants (FCMs), hedge funds, proprietary trading firms and other trading institutions. 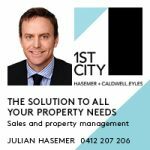 1ST CITY-HASEMER+CALDWELL.EYLES Was established in 1998 (as First City Realty) and is now conveniently located in Transvaal Ave Double Bay. This central location is the hub of the eastern suburbs property market both culturally & geographically. We stay in daily touch with the local community, its people, its properties and issues. We are a mid-sized office with a vast congregate wealth of experience. We are constantly evolving our marketing processes and IT/web approaches to be able to offer our clients the best value and most effective methods toward reaping the highest buyer response. Black Lifestyle Property is a real estate agency led by Eastern Suburbs real estate agent Jason Black, is currently selling lifestyle properties in Maroubra, Centennial Park, Botany, South Coogee, Matraville, Randwick, Lurline Bay, Little Bay, Bondi Beach, Coogee, Queens Park, and surrounding suburbs in Sydney’s South East. 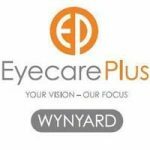 At EyecarePlus Wynyard, we offer comprehensive eye examinations (by appointment) including visual fields, colour vision, ocular photography and glaucoma screening. If results indicate medical intervention, we will report back to your General Medical Practitioner or arrange referral to appropriate Medical Specialists. We offer advice on all optical aids and stock an extensive range of frames including fashion, sport and sunglass frames. Contact lens advice and fitting service available. We are the premier Sydney stockist for Rudy Project ImpactRx prescription golf sunglasses. It’s funny how human beings can always see the potential in other people but we are often blind to our own potential – maybe we don’t know ourselves that well. Today we all arrived somewhere and that somewhere is a function of the promises we made yesterday to other people and ourselves. That somewhere looks a certain way and feels a certain way. How it feels is far more important because that is you measuring emotionally where you’ve arrived. We all have untold potential which many of us fail to realize simply because we got lost in our busyness and forget to allocate some precious energy to simply thinking about what might be and not just accepting what currently is. Setting the wheels in motion to a new tomorrow is often simply a function of having someone to guide you through the process … just a slight change of direction of the mind. Its easy to see your future … the promises you’ve made to people form the foundation of your responsibilities … calculate the amount of energy you are applying to keep up with these responsibilities today … that’s your future unless you change something and you can do that without breaking one, not one promise. Sydney Exercise Physiology is one of the few functional rehabilitation and exercise clinics run by qualified and accredited physiotherapists and exercise physiologists in Sydney’s eastern suburbs. Our services include:Specific Golf improvement exercise programs,Exercise rehabilitation programs from orthopaedic and chronic injuries like back, neck, shoulder and knee pain, and individual and group fitness sessions for general health and fitness. Health fund rebates are available. Created in 2004 Out There Media (OTM) has quickly become a trusted partner to many of Australia’s most respected promotional and creative agencies. Specialising in the production and installation of large format digital printing OTM has become the first point of call when its time to give a campaign that extra special look. Whether it be printing and wrapping a complete fleet of vehicles, display graphics for a national advertising campaign or just a few pull up displays OTM has the solution. OTM prides itself on using our industry knowledge and experience to make the most out of your creative ideas!